As the first female alpha in living memory, Terra Wilder already has her hands full bringing old-fashioned uncles and cousins into line. But with a regional gathering of ten clans on the horizon, the shifter will soon be faced with an even more arduous task: holding her own against a lineup of power-hungry pack leaders. Justin Young is the strongest of the opposing alphas, and he also happens to be the handsome but disturbing older brother of Terra's own mate. 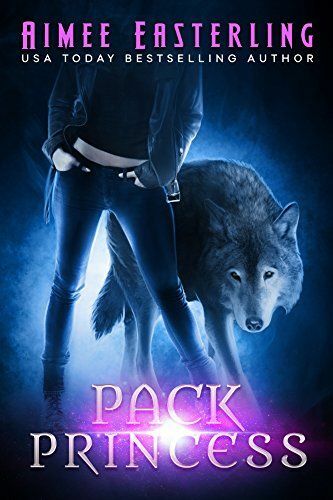 Justin is far too powerful to vanquish in a pitched battle, so Terra instead opts to trick the alpha into supporting her cause by pretending to be a pack princess on the prowl for a husband. Flirting with a shifter who looks like a dark reflection of her true mate is no fun, but if Terra doesn't maintain her clan's independence, her male relatives risk being tossed out into the cold while her female cousins are turned into chattel. On the other hand, if Terra succeeds, she might just lose herself --- and her mate --- in the process.